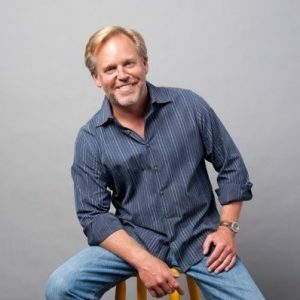 Cam Brown is the founder and CEO of King Fish Media, a leading marketing agency specializing in content based solutions. His broad range of experience includes designing and managing large scale integrated programs for a wide variety of industries. He also works with King Fish clients on increasing conversions for their customer acquisition, retention and sales strategies. Cam brings over 25 years of print, interactive, video, live events and marketing/ advertising experience with industry leaders such as Ziff Davis Media, Arnold Advertising and The Robb Report. At Ziff Davis, Cam founded and headed the first ever-custom media business unit at the company. Cam often provides strategic marketing consulting to the investment and venture capital community for emerging companies, advising them on their communication strategies. He serves on the Advisory Board of Give Us Your Poor, an organization that brings together the latest research, multimedia, celebrities, citizens, homeless people, and partner organizations to help end homelessness, and is an Advisor to FreePriceAlerts.com, a price search engine that notifies online shoppers via any device when the lowest price for products is available to them. Founded in 2001, King Fish Media is a leader in strategy, content marketing and custom design, having created profitable programs for companies such as Ameriprise, Boston Private, CoLucid Pharmaceuticals, Commvault, IBM, Intershop, Janus Capital, Keurig Green Mountain, Nasoya, Nuance, Parexel, QOL Medical, Risk Strategies Company, Zappos, and others. King Fish Media is headquartered in Boston, Massachusetts. 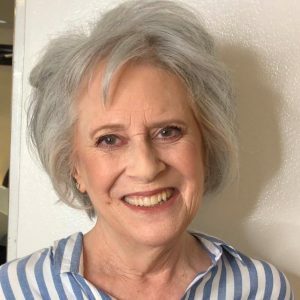 Amy Miller Cohen, Ph.D. received her doctorate in Psychology in 1975 from Teachers College, Columbia University and did post-doctoral work at the Ackerman Institute for Family Therapy. She has previously taught at Brooklyn College for several years and was a psychologist for Head Start in Newark, New Jersey while she lived in New York City. In 1979 Amy moved to Bethlehem, PA. She was widowed in December 2016 after a 42 year marriage. Amy has two adult children, two grandchildren and two golden doodles. Amy works with people of all ages and stages of life who come to her with a variety of concerns and challenges through her creative processes including SoulCollage, photography, and writing. A Conversation With Chris Martin, C.F. 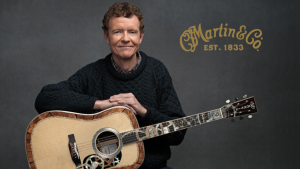 Martin & Co.
Martin guitars and Martin strings are the instruments and strings of choice for musicians around the world, from the icons of rock, pop, country, folk and bluegrass to those just beginning their careers. They can be seen across all segments of pop culture, from television to movies, Broadway, books, online, and gracing the covers of popular magazines on newsstands everywhere. One of the world’s leading acoustic instrument makers for nearly two centuries, Martin guitars are hand-made by skilled craftsmen and women, who use a combination of new design and techniques, along with those introduced by the company founder.